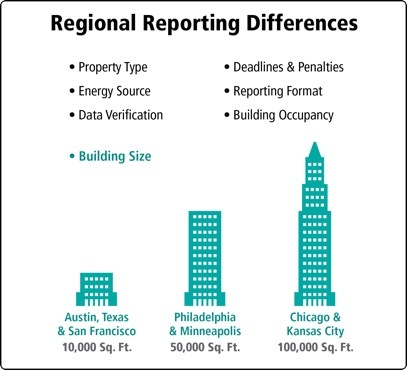 By now you’ve probably read about the growing number of energy reporting requirements being enacted across the United States and abroad. If your company’s portfolio includes office buildings in Atlanta or multi-family units in California, you were likely less than thrilled. Property managers in DC and Philadelphia may have added a note to an already overflowing task-list. Do you lead your organization’s sustainability effort? 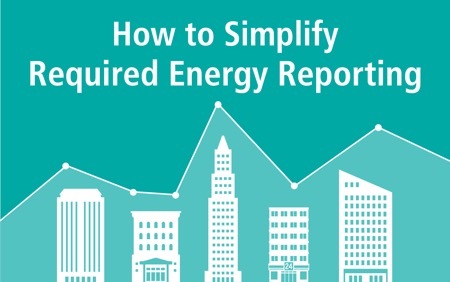 The reporting requirements may not show up on your radar, but it should. State and municipal policies can be inconsistent from region to region and collecting and maintaining the relevant data is more time consuming than you might think. Fortunately, there are also common elements among policies and existing tools to facilitate the reporting process. Once the relevant data has been gathered, the US EPA provides Portfolio Manager as a free means to submit, store and distribute reports. Very few organizations gather and curate the relevant data in a useable format. Calculate the time it takes to determine monthly utility consumption for the last 3 months. Looking up your utility expense on a P&L won’t help. 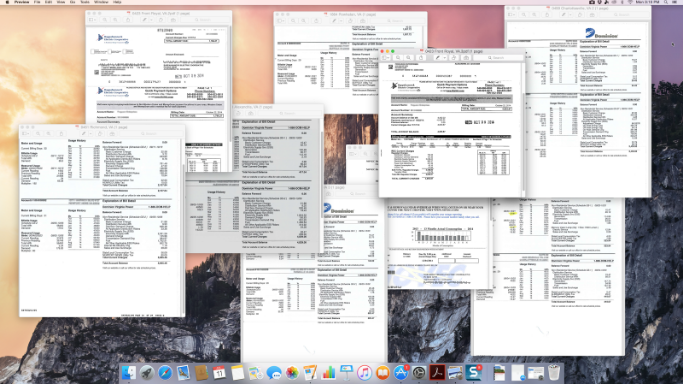 The P & L lacks the necessary detail like late fees, usage, cost per unit so you are forced to print every utility bill and spend hours parsing the data. Most likely, you will need to gather copies of the actual invoices, which can be confusing all by themselves. With BillPay, you will no longer have to review every electric bill to extract the correct information. No more having to keep up with spreadsheets for each address or water/sewer account. BillPay insures that the information you need for existing, and future, reporting requirements is instantly available and formatted. ECC’s systems can automate reporting and distribute the usable data to the required local and state offices and any additional designated stakeholders. There are a number of reasons why BillPay makes sense, but the growing number of legislated energy reporting requirements are highest on that list. For more information on AIP, please visit us at www.ecc.energy/billpay.